My 16th country to visit, 22nd solo backpacking trip, 4th visa on arrival application encounter outside Southeast/Northeast Asia, 3rd winter snow travel and of course, usual budget do-it-yourself itinerary from arrival to departure. Have you ever visited a country less traveled by a typical backpacker especially by a fellow Filipino? Have you ever thought that this country is more than meets the eye? Have you ever wonder where did Noah's Ark took its resting place after the Great Flood ? After having a failure to receive the applied tourist visa to Jordan on time, I came up with this most very spontaneous plan, thanks to Jordan embassy's delightful service wherein I applied February 12, 2013 and yet until February 21st it was still not process. With almost 4 hours before the scheduled flight, I immediately booked and purchased the roundtrip ticket bound to Yerevan without hesitation. Landlocked, Armenia is bordered by Turkey to the west, Georgia to the north, Iran to the south and Azerbaijan to the east. Republic of Armenia is the only country remaining from 3,000 year old maps of Anatolia and became the world's first Christian country more than 1,700 years ago in 301 AD. As a former Soviet republic lying in the Caucasus region, straddling Asia and Europe, Armenia has an ancient and rich culture. Foreigners (including Filipino's), who can obtain Armenian visa both at the diplomatic representations and consular offices of the Republic of Armenia can apply to the border-crossing control points and in Visa Department of the Immigration Police in airport. Standard 21-day visas can be obtained at the Zvartknots airport upon arrival. 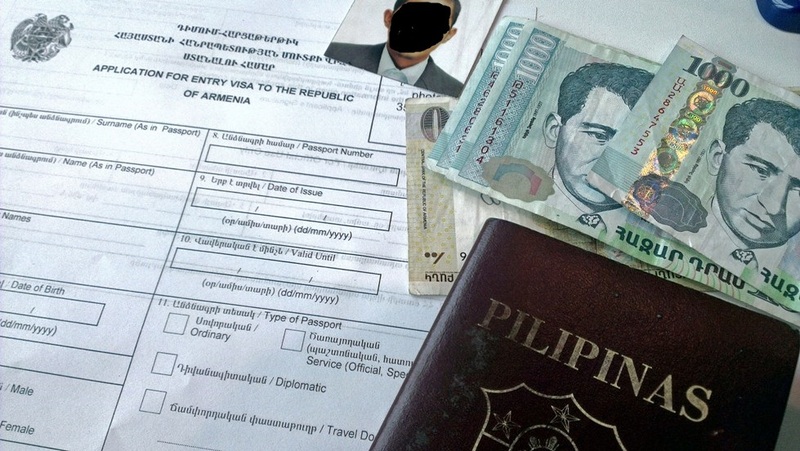 1. the most quickest and shortest unplanned trip I've done - thought just came-out after researching almost 4 hours before the flight that Filipino's are visa-on-arrival in Armenia. Surpassing that 3-days in Lebanon with only 4 days of planning before the travel date. 2. the most unexpected journey I've ever had - in reference to item 1, flight ticket was purchased only almost 4 hours before the departure time with ZERO KNOWLEDGE OF ITINERARY and no idea about the country. (good thing Fly Dubai accepts credit card on this limited time and has a good set of flight skeds). 3. all i care about is visa-on-arrival - originally, my plan for this holiday weekend is to go to Jordan but due to the very, very slow processing of their embassy wherein I applied 12-Feb but stilll on 21st-Feb I did not received it. I pursue this trip regardless where will I go as long as I grab the holiday opportunity to go abroad and exit permit issued. 4. totally not prepared - no concrete itinerary or any single printed copy of maps, itinerary or even flight ticket. All of them are gathered and save directly in mobile phone just almost 30 minutes before going to airport. 5. the most expensive flight ticket - with only almost 4 hours before the departure time, of course the price was unimaginable for a budget backpacker. A whooping $700 (PhP27,936) was the roundtrip fare purchased on fly dubai airline, a low-cost carrier, 75.22% share on the over-all budget for this trip. 6. the international trip I had with shortest gap - as I mentioned before, I just recently had my birthday trip in China from 24th-Jan until 07-Feb. 14 days after, here I go again, mesmerizing the cruising in the air and feeling the adrenalin rush once more. 7. russian/european mix architecture - Armenians are much like any other Europeans in their manners and lifestyle. Formerly part of Soviet Union, it felt like I am inside a Russian country wherein the flag design and color is just different only on the lower portion which is amber/orange (white for Russia). In addition, the people (which is I think almost 90% are really gorgeous, I look-like a native tribal citizen to them), language and culture was almost the same. Upon arrival around 1030H, I immediately look-out for the visa on arrival section which is 100 meters away from the arrival gate. I handed-over my passport to the officer behind the window to verify if I'm certain to have the privilege of visa-on-arrival and how much will be the fee if ever. He verified first my passport to his computer then went to the bulletin board at his back for some clarifications. After less than I think 3 minutes, voila, my passport was handed-back to me saying I have to pay only 3,000 drams for a tourist visa. There is money changer 20 meters away and exchanged my US dollar bill to Armenian Drams due the Immigration officer does not accept any foreign currency, only local money. That time, exchange rate was $1 = 602 drams. Then I went to application form booth, with picture box drawn but upon handed-back to the Immigration, he returned my photo, it's ok not to attached it. 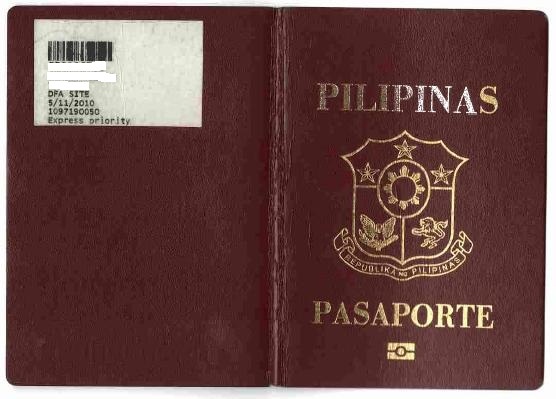 Like a typical visa applied in local embassy, visa issued upon arrival is a sticker covering an entire page in passport. Imagine for only $7.5 (3,000amd), one of the cheapest fee I ever had, has 100% no hassle interrogation on its process. He did not even bother to ask me for my accommodation, purpose, itinerary, etc, he just issue it and just it. Before I went out to the arrival door after x-ray machine, some local bank employee asked me in surprise (ambushed), how much foreign money I brought. Thinking it will hamper my trip if I tell the truth, I just said $200 for a 3 days vacation. She did not ask me to show it, she just ask as simple as that. Afterwards, she just thank me then I exited and look for a bus or taxi. I chose taxi drivers outside rather than the one roaming inside airport due they charge a lot. I told the cab driver to bring me to Republic Square and he charged me for 2,000amd ($5). Around 1100H past, I'm already inside the taxi on my way to the City Center. @Jonathan Velasco; yup, all-in sa php36,+++ but my airport of origin is in middle east. flydubai ang airline, try mo mag-search ng cheapest flight mla-dubai-mla then mag-flydubai ka papunta armenia, madami silang flight skeds dun. Very cheap huh... Thanks for sharing!